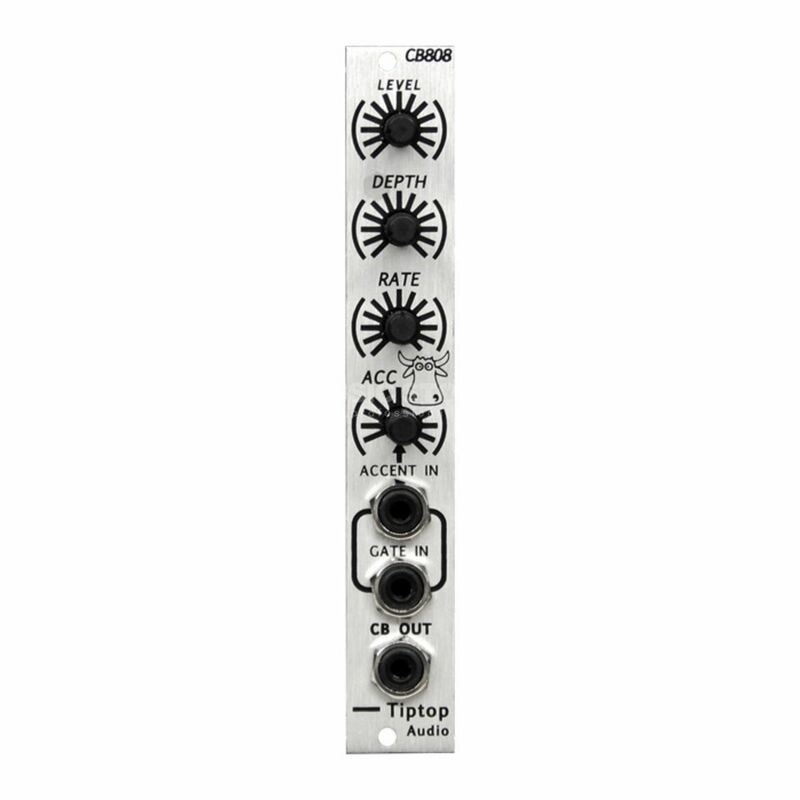 The TipTop Audio CB808 Cowbell Generator is an analog Eurorack module based on the cowbell sound of the TR-808. Like the other drum modules in this TipTop series, additional features have been added to further colour patches if something beyond the base recreation audio signal is desired. Pitch modulation, LFO (with rate & depth control), accent, high-powered gain staging and a dual input pulse-shaper are all available without corrupting the spirit of the TR-808 sound. Pushing the Accent and Level controls above 70% will force the unit into distortion saturation, and can get pretty loud and hot. Stay below this point if you’re looking for a clean bell.